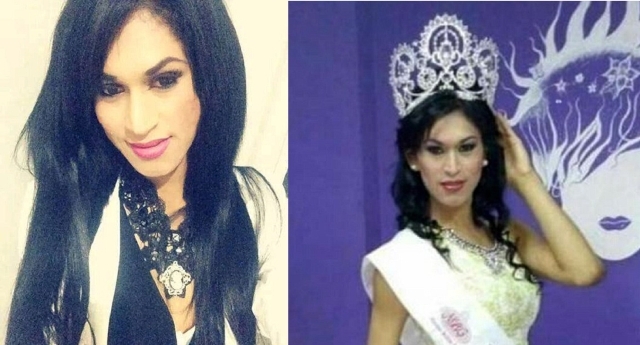 A Mexican transgender beauty queen has been found burnt to death – and her killing is being investigated in a hate crime. 24-year-old Paulett Gonzalez was reported missing in Mexico a month ago. The woman’s charred remains have now been found by police in Celaya, Guanajuato – having disappeared in the nearby city of Irapuato. Spanish-language TV network laSexta reports that her remains were so disfigured that genetic testing had to be used to confirm her identity. Ms Gonzalez, the former winner of Mexico’s Gay Beauty Queen pageant, was referred to by her birth name and gender in some reports. Authorities are investigating whether the killing was a hate crime. Mexico has a notoriously high rate of homophobic and transphobic attacks and murders. Friends and family have left tributes to the victim across social media. 271 transgender people lost their lives to transphobic violence in 2015, according to data collated for the Transgender Day of Remembrance. The vast majority of the victims were transgender women of colour, and a large number were killed in South America. At least seven people were killed in a mass shooting at a Mexico gay bar earlier this year, in an incident that was widely ignored prior to Orlando. A said: “In the early morning May 22, gunmen entered La Madame, a gay club in Veracruz, and proceeded to fire into the crowd of approximately 180 people. Originally news of the attack in Veracruz barely managed to travel past the state’s border, while police had dismissed it as drug-related.